Marcy and Jefferson announce that they are expecting a baby, sending Al into pearls of laughter saying that it's the end of Jefferson's life, until Peggy announces the same. Al begins to lose his hair at an accelerated rate, thinking it's the end of the world for him. Kelly and Bud aren't pleased with the news either and take it out on Al. 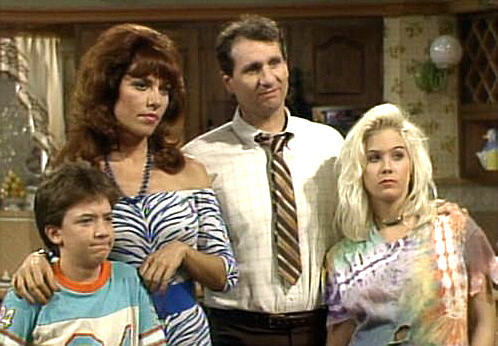 Al Bundy is a misanthropic women's shoe salesman with a miserable life. He hates his job, his wife is lazy, his son is dysfunctional (especially with women), and his daughter is dim-witted and promiscuous.